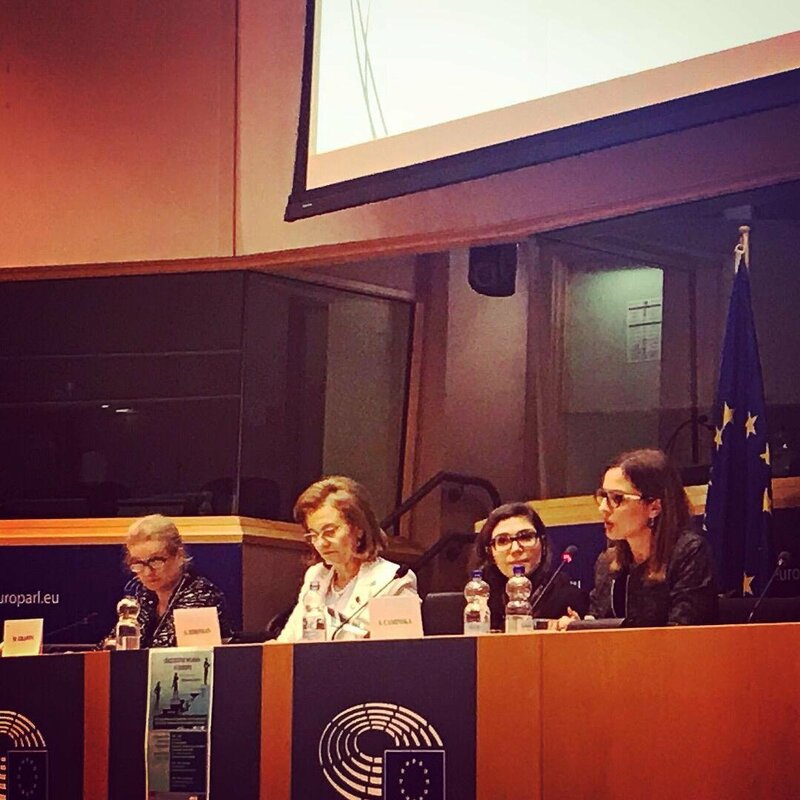 JEUNE’s Women Committee chaired by Mrs. Alexandrina Robu co-organized a high-level conference “Successful Women in Europe” with MEP Maria Grapini from Romania, at the European Parliament. At the event were present high-level officials, as Romanian Ambassador to the EU, Ambassador of South Corea to the EU, 6 MEPs, representatives of CAFA (Romania) and JEUNE members. Mrs. Simona Caminska spoke on behalf of JEUNE. Discussing of entrepreneurship in general, we speak about a more competitive and more innovative economy that will improve productivity and create wealth through commercializing new ideas. Europe’s economic growth and jobs depend on its ability to support the growth of enterprises. Entrepreneurship creates new companies, opens up new markets, and nurtures new skills. Tackling statistics, it is truly devastating that only 37% of Europeans would like to be self-employed, compared to 51% of people in the US and China. Broadly speaking, there are many challenges that need to be faced so that the situation gets improved in terms of: improving the access to finance, improving the access to information, providing trainings to entrepreneurs, deepening the access to networks for business purposes and reconciling business and family concerns, especially when it comes to women entrepreneurs. 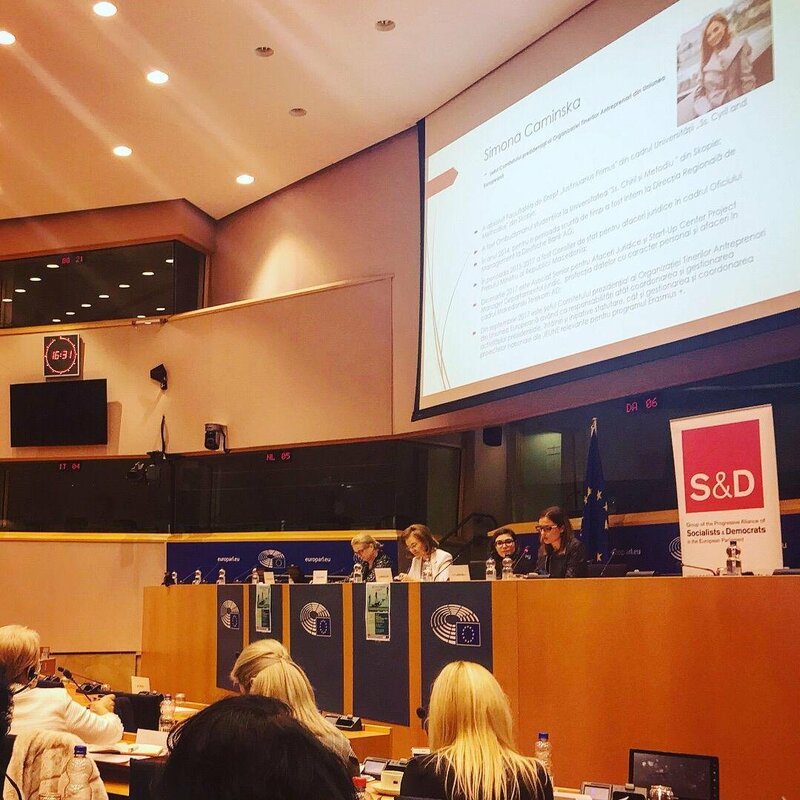 Currently, in the EU women constitute 52% of the total European population but only 34.4% of the EU self-employed and 30% of start-up entrepreneurs, leading us to the conclusion that female creativity and entrepreneurial potential are an under-exploited source of economic growth and jobs that should be further developed. According to the Entrepreneurship 2020 Action Plan released by the European Commission back in year 2013, the principle of “think small first” must become the touchstone of European and national policies. This in regards to the fact that new companies, especially SMEs represent the most important source of new employment and aptly to Eurostat data, they create more than 4 million new jobs every year in Europe. Still, the percentage of people that are self-employed is in decline. However, the determination from the side of European Institutions, as well as dedicated actions from Member States, as well as other European countries may significantly improve the situation. Focusing a bit more on gender gap in entrepreneurship, in a Policy Brief on Women’s Entrepreneurship published by OECD and the EC in 2016, statistics show that at the EU-level in 2015, 78.3% of men were active in the labor market in comparison to 66.8% of women, whereas gap was greatest in Malta (27%), Italy (20%) and Romania (18.6%) and smallest in Finland (2.8%), Lithuania (3.3%) and Sweden (3.6%). There are many reasons that can be identified as triggers to challenges that women identify in starting business such as: discouraging social and cultural attitudes, lower levels of entrepreneurship skills, facing greater difficulties in accessing startup funding, smaller and less effective entrepreneurial networks and policy frameworks that discourage women’s entrepreneurship. Consequently, it should not be surprising that women are less likely to be involved in entrepreneurship as statistics show that in most of the EU Member States, in year 2015 women were half likely to be self-employed compared to men, or 9.9% self-employed women vs. 17.8% self-employed men. In this context, many studies suggest that work-life balance and family care responsibilities have a greater influence on entrepreneurship activities by women and suggest that gender equality policies in the labor market may cause women to prefer employment over self-employment. 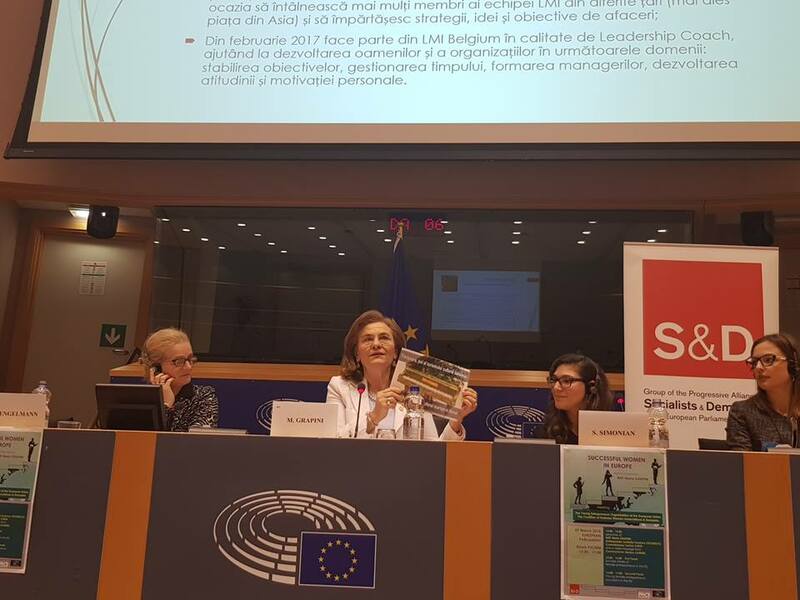 Female Entrepreneurship in Romania is ranked 33th in the world in 77 countries according to Women’s Entrepreneurship Index, created by Global Entrepreneurship and Development Institute GEDI. Research outcomes show that relative to the 31 European countries in the Report, Romania occupies position 26 and has the highest score on Equal Rights and Companies with an annual increase of at least 20%. Instead, Romania is very poor at absorbing new technologies and spending on research and development. Hence, Romania is detached in terms of the proportion of women opening a business in the agriculture sector: 20%, twice more than the European average but still less than in Italy. 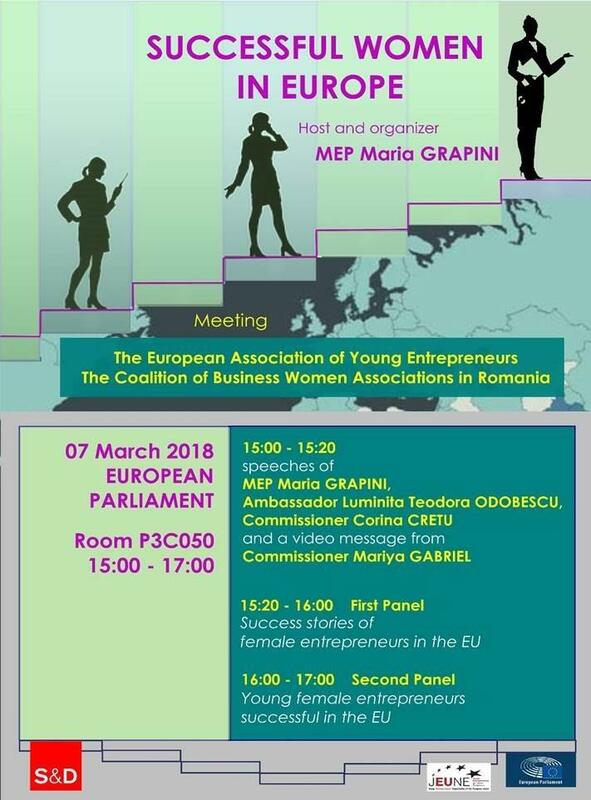 Thus, according to the Mastercard study in 2017 on female entrepreneurship in 54 countries in the world, Romania ranks 28th, with only 25.3% of the total number of women-owned businesses, compared to 30.8% in Spain, 29.6% in Poland and 27.8% in Hungary. Still, not all of the other European Union’s and other European countries can praise as big winners or big icons in the tech and startup world. Many policy analysts point out that what potential women entrepreneurs lack is the best role-model. It is therefore important to promote women entrepreneurs as the modern icons and ensure that the startup ecosystem is gender balanced thus encouraging women to educate and develop themselves in the STEM fields. By mentioning encouraging women, I mean of networks and associations dealing with women entrepreneurs thus motivating them and the policy makers at the same time to voice up. JEUNE participates in international projects, is also part of the European Youth Forum Steering Committee and fosters cooperation between member organizations and international partners. Being active in this sphere for more than 20 years, JEUNE has identified strong standpoints but also spaces where it can act and bring improvements. One of this standpoint is women entrepreneurship policy making and cooperation opportunities. In that manner, we have founded the Women Entrepreneurship Committee chaired by Mrs. Alexandrina Robu that is dedicated to promotion of female entrepreneurs, acting towards fostering policies and lobbying for female entrepreneurs as well as looking for new opportunities on promotion of potential joint platforms and projects, as well as organizing events and conferences. We believe that we can improve the current situation by raising the voice more regarding the opportunities that female entrepreneurs are willing to meet but also raise the concern about having big disparities and a sense of “gender-divided” positions, as a complete opposite of what the Union stands for in terms of providing equality and access for everyone. What we are doing now is an investment in our future, what we seed today will grow tomorrow. How do we think and react today is what we can expect to meet right around the corner tomorrow. If we want to become successful, independent, efficient and change-driving, then we have to take immediate reactions and respond to challenges as if they are opportunities to grow.